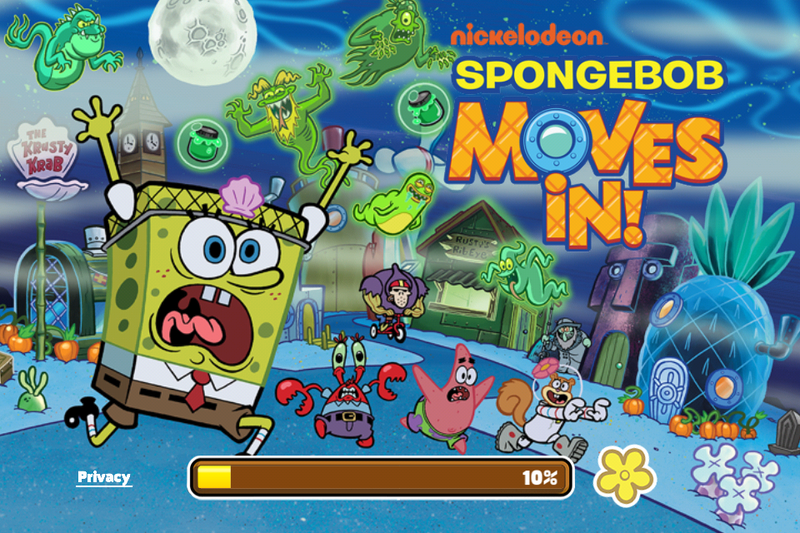 Halloween 2013 - The SpongeBob Moves In Guide Site! 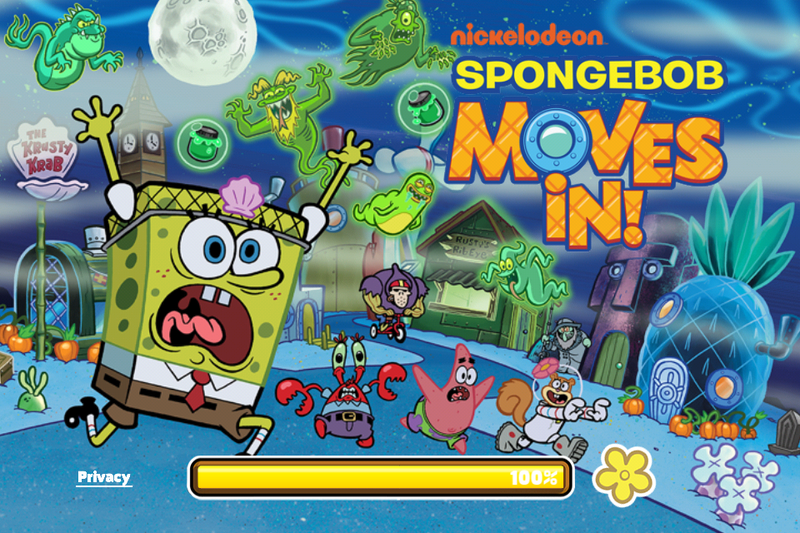 The Updated Version 3.03.00 released October 3rd brought to players the FIRST-EVER Event in "SpongeBob Moves In" history, themed after Halloween. This update set the stage for a whole ton of future events, including Holidays 2013. Players were introduced to over 10 new ghostly characters, all-new and exclusive Halloween decorations, new Bulidings to Move In, and characters from the Halloween-themed episodes, Don't Look Now and Seance Schmeance! Players also could conjure up the Rusty's Ribeye and serve Halloween treats to bottomites. Feeding treats to ghosts allowed players to receive Ectoplasm, the first-ever limited time only currency to purchase Halloween decorations from the store! Feeding the ghosts also unlocked new recipes that could be made only in the Rusty's Ribeye! It was an updated rated S for Scary, but it was packed with a whole lot of awesome goodness! Halloween 2013 was a great event for the game and is sure to be remembered! Now, scroll down for a more in-depth look at the different features of the update that took place in October 2013! Conjure Up the Rusty's Ribeye and the Barg 'n' Mart! Recipes of the Ghostly Kind! Spookify Your Town! It's the Haunted Bayou Package!